After a rough ride in the European Parliament, the UK’s nominee is likely to be confirmed as the European Commission’s point man on finance. Reuters Breakingviews has come across an (imaginary) letter left for him by his predecessor, Michel Barnier. 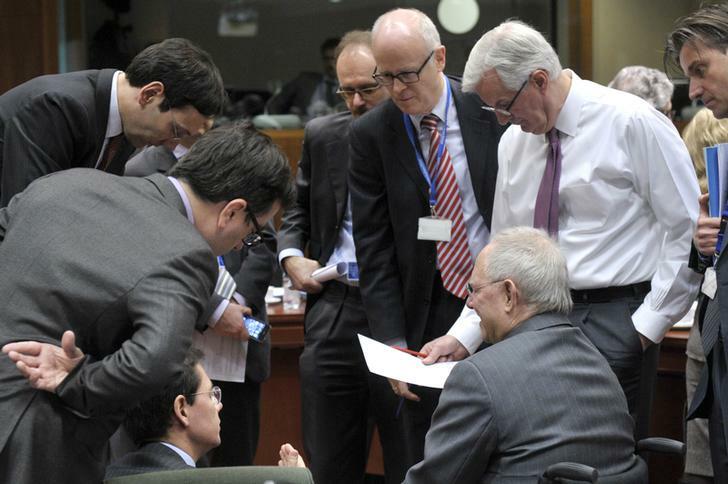 EU Commissioner Michel Barnier (R) and experts talk with Germany Finance Minister Wolfgang Schauble (R, sitting down) during an ecofin meeting at the European Union Council in Brussels March 5, 2013. Jonathan Hill, the UK’s European commissioner nominee, had his second vetting session with the European Parliament on Oct. 7. The parliament will now decide whether to endorse Hill’s appointment as the European Commission’s new director general of financial stability, financial services and capital markets union.